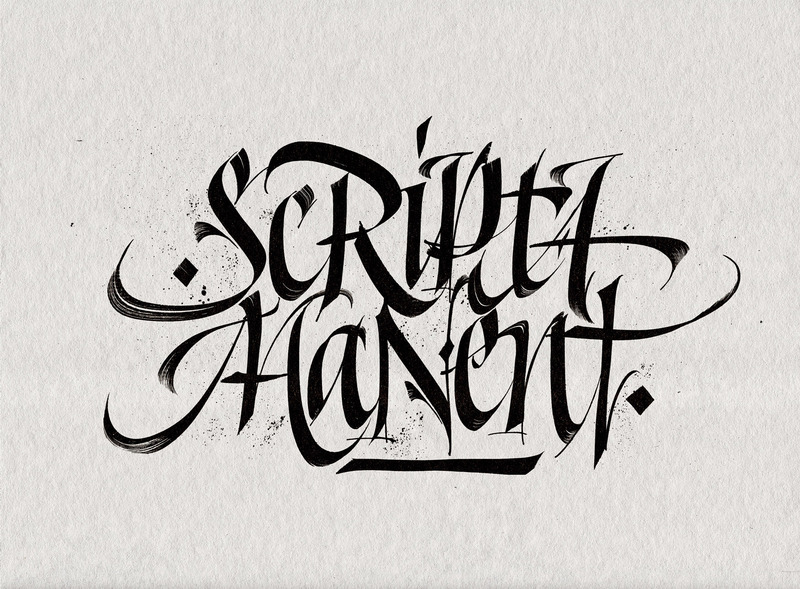 Starting as a graffiti writer, Victor Kams straddles the worlds of street culture and commercal lettering. The result is a powerful, currrent style that feels like many pens moving fast. In 1993, I started writing graffiti to feed my compulsive need to write and draw letters. 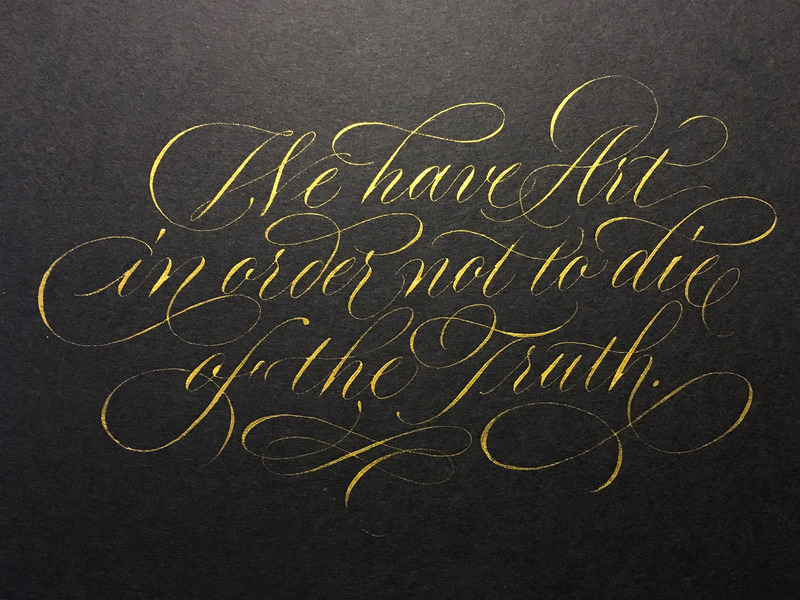 When I first saw the work of Denis Brown, it completely blew my mind—the power, the control, the technique, the precision, the beauty of the written letter—it was mesmerizing. 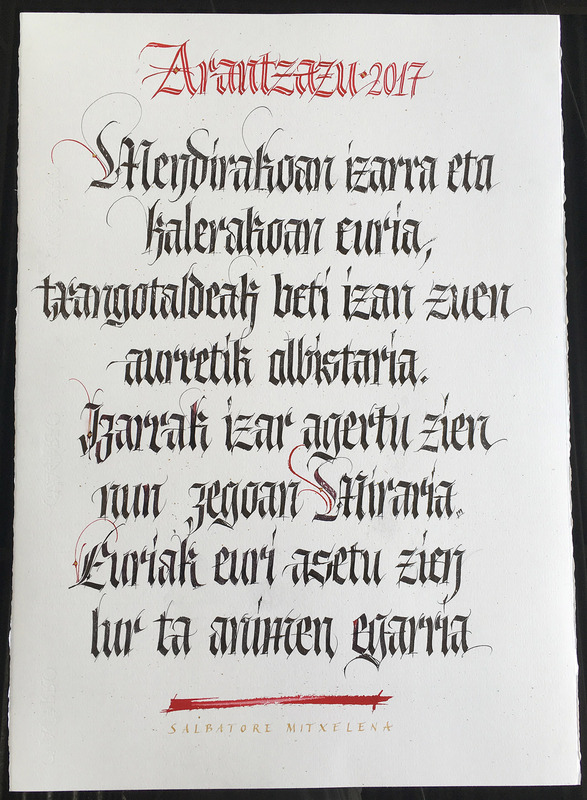 I started educating myself about calligraphy through books and videos and I attended classes with some of the best calligraphers. Dedicating myself to this craft gives meaning to my life. It gives me the tools to express ideas and feelings in a way I never thought possible. It has been a way to get to know myself better and to express myself freely. It also serves as a method of meditation and a relaxing discipline. 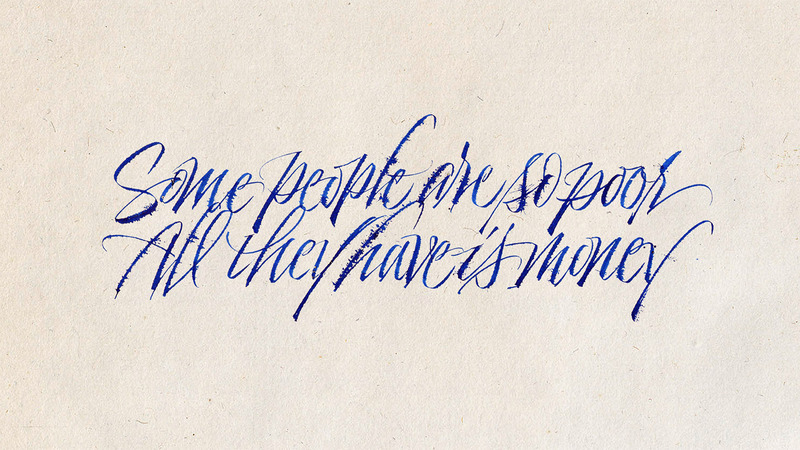 Practicing calligraphy has given me so much on a personal level that I could not imagine my life without it now. What fascinates me the most is the fact that this is an art I will be learning for the rest of my life—every little step I take makes me realize the road ahead is long and I love it. The work of Luca Barcellona was my main inspiration in the beginning. He was also a graffiti writer, and I relate to his approach. I was lucky to attend a class with him and we became friends. I have grown fond of different styles over the years, and right now I would say the work of Yves Letterme is probably my favorite. He combines expressive writing with great discipline and technique of the Roman Capitals and that is something I would love to achieve. I love John Stevens’ work, too—he is just unbelievable. 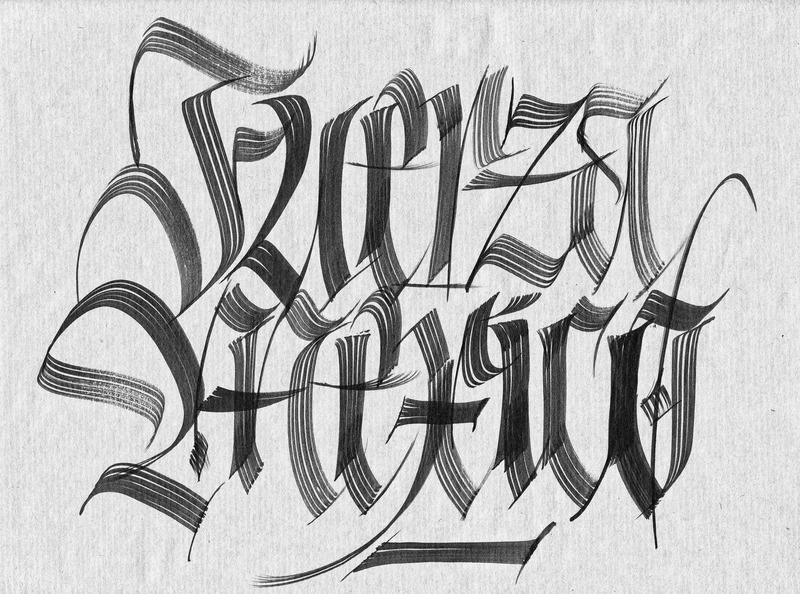 For information on individual works, see Victor’s profile on lettering.com.